Prepare the mini muffin pans by spraying the vegetable oil spray. Whisk the baking powder, salt, baking soda, xanthan gum, coconut sugar, cocoa powder and all-purpose flour in a large bowl. In a separate bowl, whisk the coconut oil, vanilla, and applesauce. Slowly pour into the dry ingredients. Add the chocolate chips. Mix well until a smooth batter is achieved. Pour the batter into the muffin pans, ideally three-quarters full. Bake for about 15 minutes. Let them cool before transferring to a cooling rack. Making a tasty, vegan brownie can be very hard. One wrong move and you’ll end up messing up everything, wasting all your time and ingredients. But, we at Coco Treasure Organics, are able to make a successful vegan brownie that will put a smile on the faces of all vegans out there. 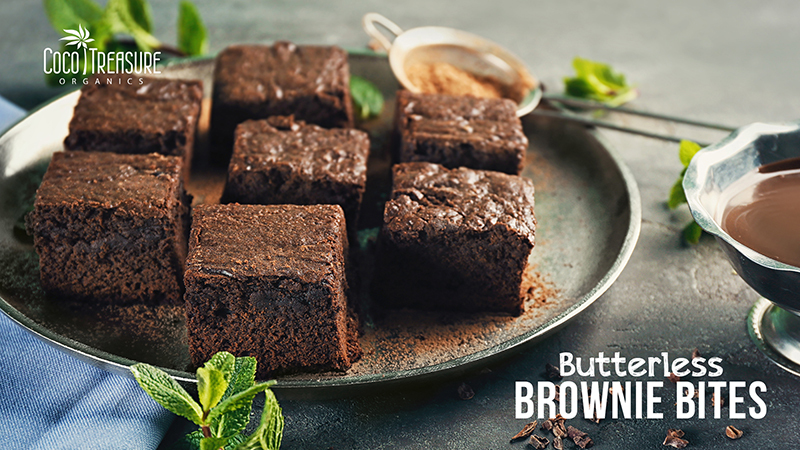 Head to the kitchen and try our Butterless Brownie Bites. They’re a big hit for Valentine’s Day, so you might want to double the ingredients. Did you enjoy this recipe because we did? In fact, we will be making another batch in the next few days. 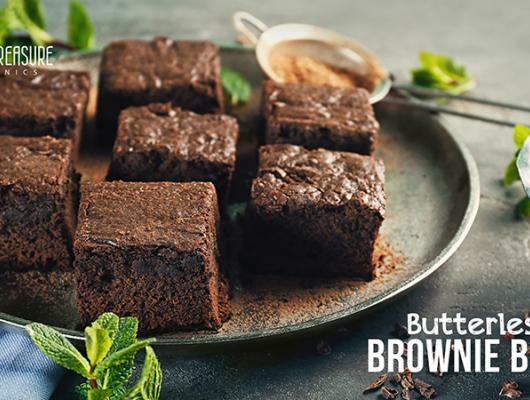 By the way, you could also try this healthy brownie recipe – Gluten-Free Coconut Flour Brownies.